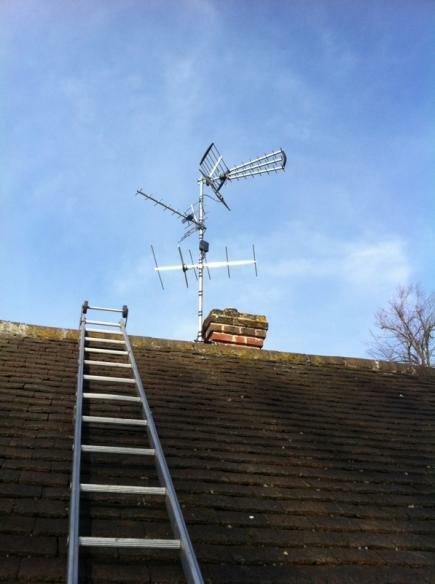 We wouldn't expect our customers to know what type of TV aerial they need or what size,or the type of signal area they live in,weak signal area or very easy high signal areas that need no more than a basic room aerial. 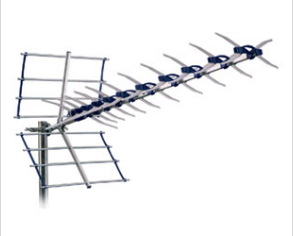 below is a very quick look at aerials and prices to give you a basic idea of the field so to speak. 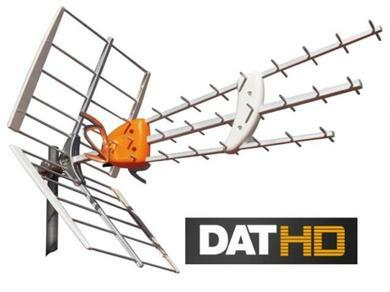 It is always better to contact us say for a no obligation phone chat about issues you may be having where you are or a new aerial TV system in a house that you are moving into. 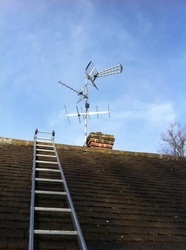 The three types of TV Aerial mounting,chimney,wall and loft. 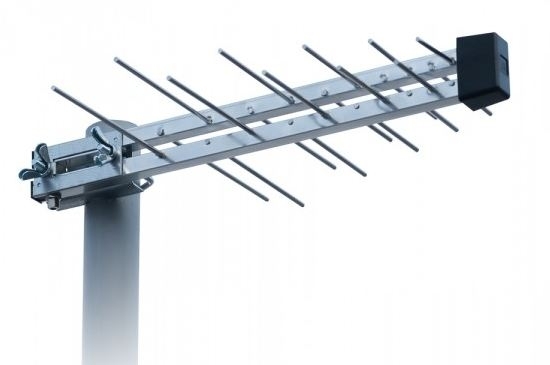 All 3 of these can be employed depending on the situation of your house ie no chimney,living in a conservation area that doesn't allow external TV aerials so needing a loft installation an easy quick solution to an external antennae. 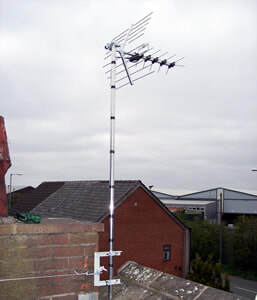 Our basic price for a TV aerial in a good signal strength area to a single room is £120 with a 2 year guarantee covering parts and labour. 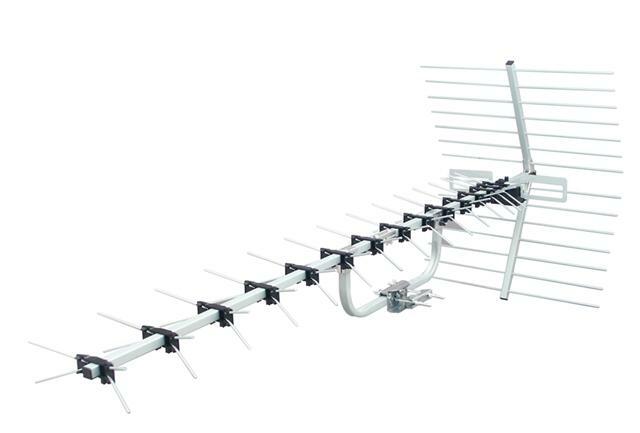 ​With amplification,especially for freeview TV reception in difficult signal areas,with an upgraded mast and bracket system to take the larger loads prices can be around the £250 mark for a suitable TV aerial installation. 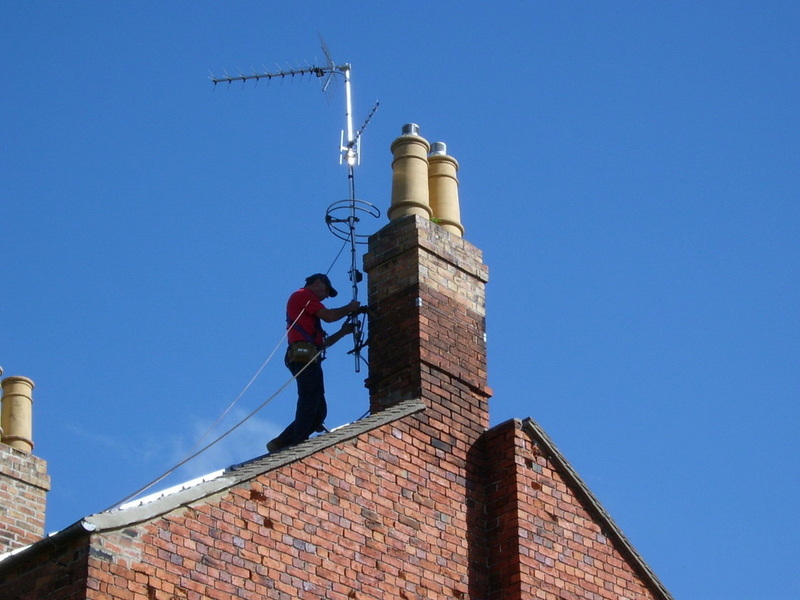 Some areas need a masthead amplifier,to boost the signal level especially in an hilly area such as the peak district,or parts of Sheffield. 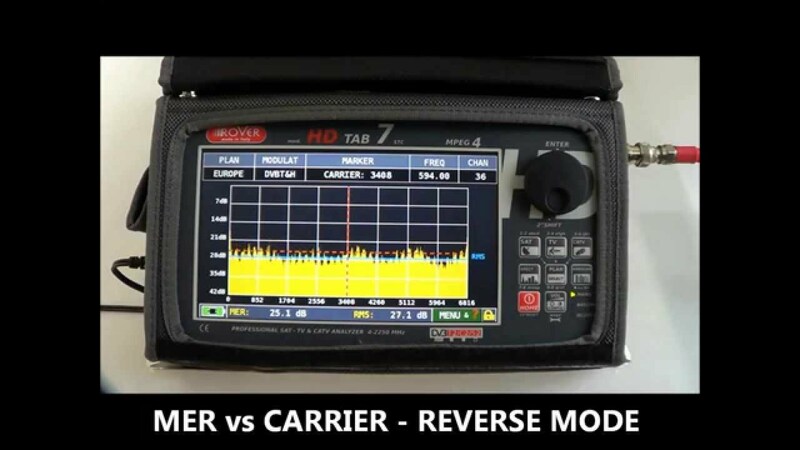 We only fit high quality masthead amplifiers which are low noise,and fully digitally compliant. Mast head amplifiers,are by their name attached to the Aerial mast as close as possible to the Aerial to boost the signal before losses in the cable become a problem. 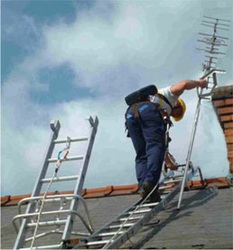 ​Most TV aerial installations are straight forward,but at times they can be fraught with say trees or the particular conditions where you live tall buildings blocking signals etc. 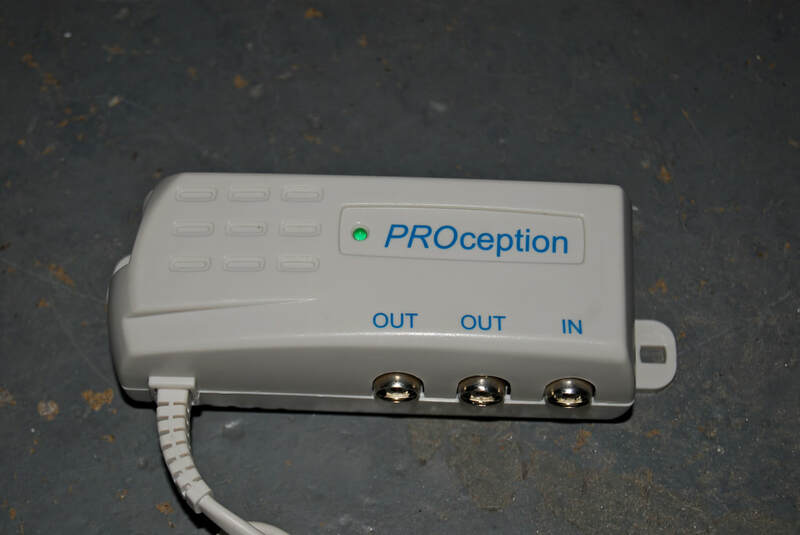 The all important signal strength meter,without one of these and the understanding of how to use it you are lost with today's digital signals. Full range of Tv aerials for You view,Talk Talk,BT vision,very difficult reception areas. 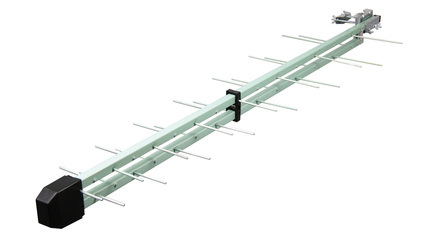 £120 complete supply and fit 2 year warranty. Basic Log £120 complete supply and fit,2 year warranty. By far the best aerial for digital TV reception. 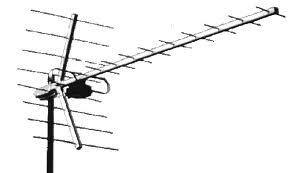 The ﻿log periodic ﻿Aerial is an old BBC design that excels in rejecting Traffic interference. 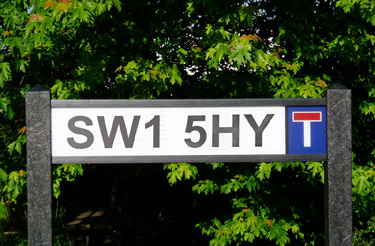 Click below for a more advanced postcode checker. 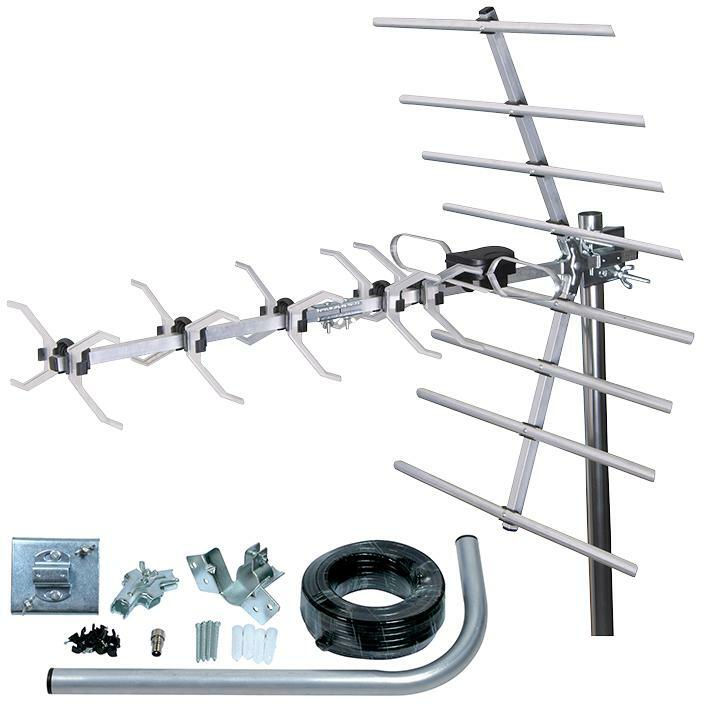 degrees among other things of your usable transmitters. ​For advice on how to use this feel free to contact us. 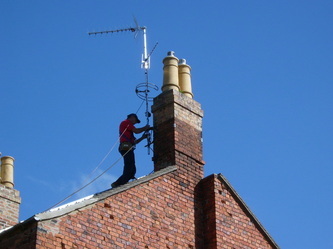 For information on your area,or ring us for help. 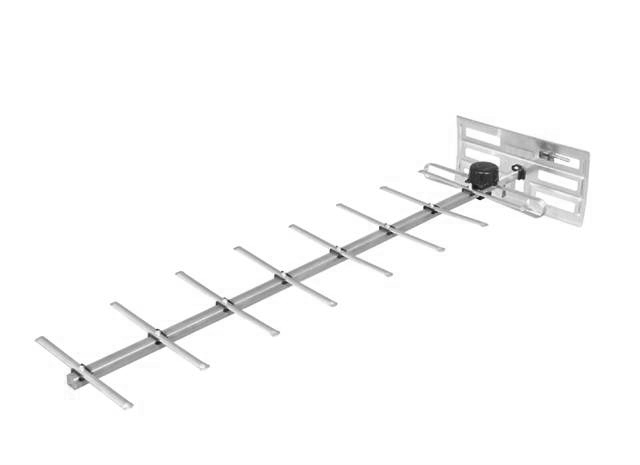 ﻿short video looking at your TV sets built in signal checker﻿,a very useful tool if you want to go the DIY route.If you are unsure where to find your sets signal system then do a google for it.